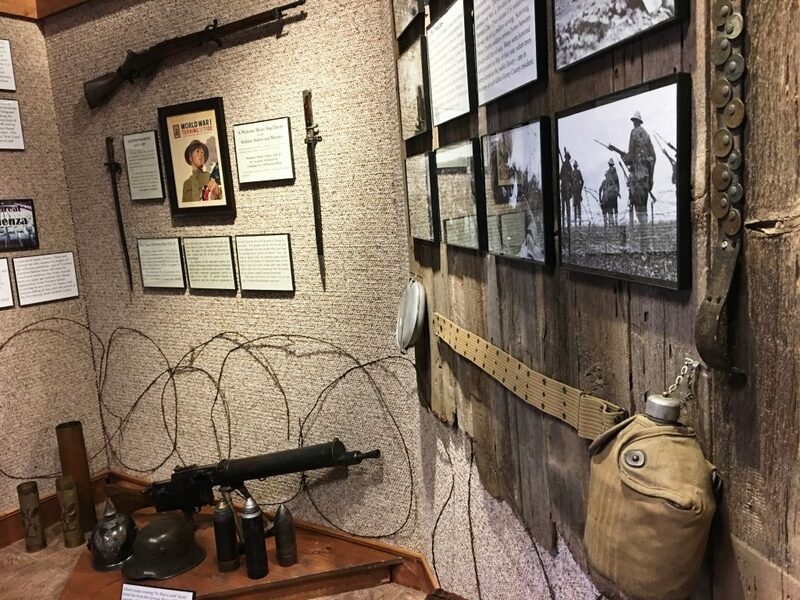 The Front Door Gallery’s latest exhibit at the Finney County Historical Museum contains artifacts from World War I. 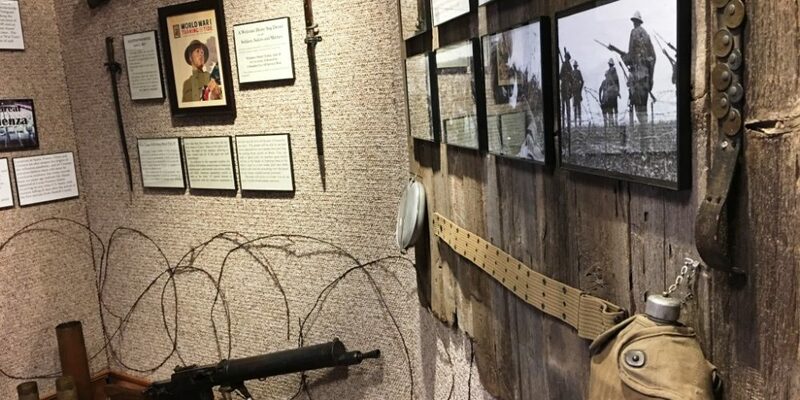 The latest exhibit in the Finney County Historical Museum’s Front Door Gallery marks 100 years since southwest Kansas soldiers served in World War I. Entitled “Turning the Tide,” the display encompasses artifacts and information about what was then known as “The Great War.” The conflict ended on Nov. 11, 1918, and surviving Finney County residents who served in the trenches and on the battlefields of France returned home from January through July of 1919. The Front Door Gallery is a small space near the museum’s entrance where exhibits change four to six times per year. The first display there of 2019 includes nearly two dozen World War I artifacts, ranging from two U.S. and two German army helmets, allied and enemy weapons and a vintage 48-star American flag to bayonets, artillery shells, a U.S. infantry uniform and a German machine gun used against French, British and American troops. Many volunteers and draftees from Finney County and across Kansas served in the U.S. Army’s 35th Division, and the exhibit also features 10 public domain photographs, some taken during the Meuse-Argonne Offensive, a victorious but bloody push along the Western Front that involved the 35th. The WWI display incorporates details on how veterans and fallen soldiers were honored after the war, wording from a 1917 draft registration notice, and a commemorative postage stamp image issued recently to mark the 100th anniversary of the armistice. The exhibit will remain in place approximately six weeks. The Finney County Historical Museum, 403 S. Fourth, is open 1-5 p.m. daily. 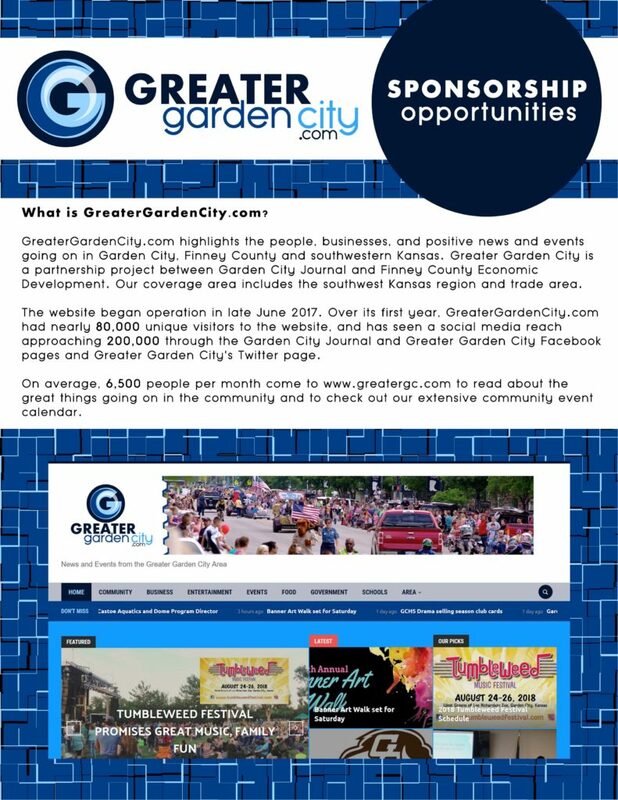 Admission is free and visitors may also see approximately a dozen additional displays, including “Spirit of the Plains,” small photo collections featuring Finney County’s Blizzard of 1957, Flood of 1965 and Tornado of 1967, and a 525-square foot “True Crime” exhibit that explains how the killers were brought to justice after the notorious Clutter murders of 1959 and the string of robberies and shootings carried out by the Fleagle Gang during the 1920s.